Confused about color? FREE watercolor conversion chart with mixing tips! Here is a video with more info on using the guide and color theory with color examples. Below are a couple of recommendations for paint sets to get you started if you are new at various price points. Schminke 12 half pan set $57 at Jacksons. *This is the artist quality version of the 12 pan set I demoed with, excellent paint and it is all you will need to mix just about anything color wise. *Sometimes we pick colors like cobalt teal for instance for their granulating capabilities, texture or opacity/transparency but that is more high level painting stuff. Learn color theory basics first:) Remember the best way to eat an elephant is one bite at a time! For $30 you can get this 30 color set of Shinhan which is lovely, not quite as high quality of Daniel smith or Schminke, but good for a beginner. *This will contain all the colors you need and then some but some of the names are off so you will need to trust your instincts and swatch them. The preform well though and the tubes are lager making for a lot of material to play with without the fear of wasting paint. I question the light-fastness of some colors but for learning it will suit you well. I also really like this “Pretty Excellent” 36 budget pan set for $20, again the names are dodgy but the paint is great if you want to play. 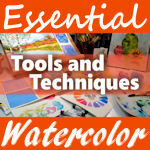 Need more help on your watercolor journey? Want in-depth watercolor lessons containing all of the information and tutorials you need to start your watercolor journey off right? Check out my Essential Tools and Techniques for Watercolor course! With 6 hours of step by step instruction I will take you from how to hold a brush to perfect washes and color mixing then guide you through four finished paintings. Click here to learn more or enroll today! Oh! I almost forgot! We will have a live stream tomorrow at 1pm Eastern Time, Sarah will be in the studio too so if you have missed us please stop by and say hi! Till then happy crafting! Hi friends! I have been wanting to go through my watercolor brush collection, get my brushes all in one place and see what I had. Since I have a full studio/supply storage area in my basement and an art table in my office stuff travels and sometimes I have doubles where I don’t need then or am missing something upstairs that I do need. I sorted all of my brushed by type and shared a pic on Instagram. I also made a flower doodle testing out some of the brushes. I asked my IG followers if they would be interested in a brush tour and they loved the idea, I decided to make it a live stream and asked my hubby to monitor the chat and send questions my way as they came up. What we ended up with was a really in-depth watercolor 101 brush talk and demo. If you ever wanted to learn more about watercolor brushes check out this video! Feel free to let the video play as you create or do chores as most of the info can be absorbed audibly. I apologies for the furnace and telephone ring towards the beginning but that clears up soon. Actually our furnace went kaput yesterday so a newer quieter one will hopefully be in out future and I’m going to see about heating my basement studio while I am at it! Wearing a coat to work in the winter is getting old LOL! A brush is made of 3 parts: A handle that can be made of wood/bamboo or plastic/acrylic, bristles (called a tuft) to hold the paint and a metal (bird quill or plastic) collar called a ferrule that holds the bristles securely to the handle. What makes a watercolor brush different from other brushes for acrylics and oils? Watercolor brushes are designed to hold a lot of water and paint so they are generally made with softer and more absorbent bristles. Because watercolor is fluid and paper is more fragile than canvas the hairs are softer and less stiff. Many brushes are sold as multi purpose (although I recommend keeping different mediums brushes separate once you have assigned them) so you can use soft golden taklon or nylon acrylic brushes or soft mops ment for oils for watercolor. 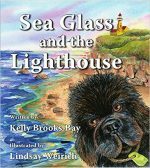 What kids of bristles/hairs are tufts made of? Bristles are either natural (animal fur) or synthetic (plastic). Most natural hair watercolor brushes are referred to “squirrel” or “kolinsky sable” but they can use any rodent/weasel fur. If a brush is referred to as a squirrel it has soft, absorbent bristles that come to a sharp point when wet but has little spring or snap. If a brush is referred to as a sable or kolinsky sable it is an absorbent brush that is a bit springier but might not come to as sharp a point. Synthetic versions of those brushes will have the same attributes. Hog/boar bristle brushes are stiff and usually used for heavier paint like oils and goat hair is soft and sheds and is used often for Sumi-E painting. I don’t recommend goat, OX or hog brushes for direct painting. Synthetic brushes are made from plastics such as nylon or polyester (taklon.) The plastics are dyed, treated and flagged so they will resemble natural hair brushes and they have come a long way! Brush makers use a variety of thicknesses in their bristles in one brush to create a brush that has spring and carries watercolor well. My favorite of these faux fur brushes is the Creative Mark Mimic Squirrel and for a budget version try the Menta line from Royal and Langnickel. No matter what kind of hairs your brush is made of take care of it because it will last you for years if you only use them with watercolor. What kind of brush shapes are available for watercolor? Rounds: Your first brush should be a #8-#12 round brush that comes to a nice point. You can do 90% of all of your painting with this. You can get rounds from the tiniest size with short bristles for detail or long bristles (liners) for long continues lines to fat rounds that can carry a sky wash load of paint. Rounds are the most useful for watercolor painting. Flats: These are useful for wetting the paper and applying washes as well as painting things like leaves and architecture. I recommend a 1″ and 1/2″ flat wash made from taklon. The Majestic line from Royal and Langnickel is excellent as is the Zen & Menta all media brushes. Angles: These are flat brushes with a straight taper to the bristles at a shallow angle.These can be used just like a flat and whether you chose an angle or a flat is personal preference. I like angles for side loading as I can remember what side the color is on easily. Filberts/Oval Wash/Cat’s Tongue: these are a flat ferrule brush that have the bristles tapered like and round (oval-shaped) and if the hair comes to a point when wet it is called a “Cat’s tongue” brush. An oval taklon brush is handy for flower petals and a cats tongue can paint wide washes and fine details and everything in between. Mops: These are used to soften or blur large areas. They can tend to shed so not as useful for direct painting. Quill: These brushes are named “Quill” as they used to use a birds quill for the ferrule. These are distinguished by having the soft (usually squirrel) hair attached to the handle with a clear plastic and wire element. These brushes are very absorbent and come to a fine point when wet. Dagger: A steeply angled brush with a slight curve to the slope of the angle resembling a knife blade. Handy for some flowers as well as long lines and tree branches and grasses. If it has very long bristles it is called a sword. Rake: A flat or filbert brush with alternating long bristles for painting fur and glasses. A Wisp brush is a more dramatic version of a rake. Texture brushes: A deer foot stippler is a chopped off round brush that make marks in the shape of hoof prints. A foliage brush can be a flat or angle brush with thick stiff bristles meant for pouncing on tree leaves or bushes. *You can make these brushes by chopping off old battered flats and rounds! Wedge/Triangle/Pyramid brush: This decorative painting brush is designed to make lovely leaves and flowers. 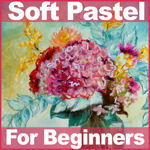 I will be adding a section on this brush to my new course Watercolor Flower Workshop in July. I hope this brush overview helps you pick the best brush for you and get more use from the brushes you already have. If you enjoyed the brush stroke demonstrations today and would like to learn to paint loose flowers effortlessly please consider my new Watercolor Flower Workshop course and save 50% through 6/30/18. Use coupon code FLOWERPOWER if the discount doesn’t show up automatically. 15 Cheap or FREE Watercolor Hacks! Hi friends! Today I am going to share 15 cheap supply tips you can use today in your watercolor painting projects! You have probably seen me use some of these before but if you are new it can be handy to have them all in one place! Please share this video with other new watercolorists out there, remember, sharing is caring! 1. Free spill proof water buckets: Use Tofu or mushroom packaging as water containers. They are free, won’t tip over and the ridges on the bottom and sides with gently clean pigment from your brush! 2. *Bonus tip: Use single or dual pet food bowls from the dollar store for a truly non spill water bucket for children! 3. Need a place to keep your paint? Recycle an old eyeshadow compact or pill-box for a portable palette! 4. Credit card scraper: Cut up an old credit card or plastic gift card and use it to scrape, scratch or squeegee your paint around when making rocks, trees and grasses. 5. Rubber band brush: Bundle a bunch of rubber bands together for a funky brush to paint foliage with! 6. Cut up kitchen sponge: A cut up kitchen sponge and be used to tap on trees or bushes or stamp on bricks and rocks. You can even keep a small piece of sponge in your paint palette to wipe you brush on. 8. …salt in a watercolor wash looks cool too! 9. Toothbrush splatter tool: Why buy a pricey spatter tool when you can get better results from an old toothbrush, just load it up with paint and drag your finger or a craft stick across the bristles. Use wetter paint for bigger spatters and dryer one for tiny specks. 11.Less Sticky masking tape: Taping down your paper is a good practice to keep it from bucking as you paint. The low tack or artist tape is pricey so buy your tape at the dollar store and stick it to your clothing before your paper. The tip will pick up lint from your clothes so it will be less sticky and won’t rip your precious watercolor paper. Bonus side effect: lint free clothes! 12. DIY Watercolor block: Watercolor blocks are great because you don’t need to tape down your paper but that convenience comes at a price. 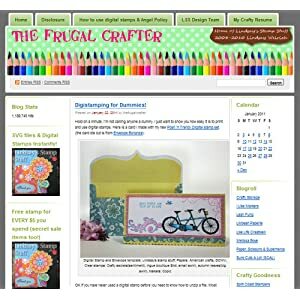 You can make your own buy cutting your paper to size along with a sheet of cardboard and gluing the edges. I have a tutorial here. 14. Masking fluid dish soap trick: Make sure you don’t ruin your brushes when you use masking fluid, first coat your brush with dish soap or bar soap and then apply as usual. *It’s a good idea to mark that brush as a masking fluid only brush too. 15. Keeping your supplies identified: If you travel to class with your supplies you will want to make sure you don’t lose them or go home with someone else. Here are some ideas for marking them: 1. Stick on one of the free return address labels that you get in the mail, 2 use nail polish on the ends of your brushes 3 find a pretty washi tape and mark all of your tools with that but be sure you go over it with clear tape so it stays. A lot of people on YouTube asked me where I got my martini tape despncer, I bought mine at the dollar tree over a year ago but you can also find it on Amazon. 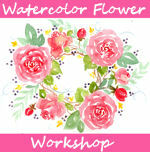 OR try my new Watercolor Floral Workshop course for 50% off through 6/30/18 *Use coupon code FLOWERPOWER if discount doesn’t appear automatically. If you found this list helpful please share it on Pinterest (or any other social media network) using the handy sharing buttons below. It really helps out my blog and YouTube channel and encourages me to make more frugal videos like this! Thanks for stopping by and til next time happy crafting! 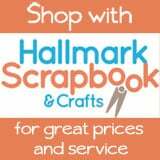 10 Tips for Using Cheap Watercolor Supplies PLUS 5 Reason Cheap Watercolors are Great! Hi friends! 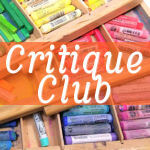 Today I will share some tips and tricks to get the most of inexpensive student grade supplies. You can have fun while using up your student grade stash and learn a lot about watercolor technique too! See my top 10 tips in action in the video and refer to the list below for a written tip sheet! 1. Use student grade color straight from the tube instead of squeezing a bunch out to dry out in a palette. You will get the vibrant result you want without the struggle of rewetting less pigmented paints. Also, often when you let student watercolor dry in a palette the paint cracks and falls out therefore wasting it. Just put a drop of each color you need on a plate when you are ready to paint, you don’t need much and the leftovers can easily be rewet so there is no waste. *The watercolors I am using in today’s demonstration are JoiArt watercolors that are $14.99 for 25 tubes. 2. Practise your brush control. You can use any grade watercolor and paper to practise making thick and thin strokes and learn good brush control. Build your muscle memory with the cheap stuff. 4. Don’t overmix. Many student paints don’t list the pigments used and many are already mixed colors, that’s why you often make mud when you try mixing these colors. You will probably need to use more colors than you would with professional quality paints. 5. Let the colors mix on the paper rather than mixing on the palette. This will keep you from over mixing and getting a chalky or muddy mess. 6. Avoid excessive scrubbing or erasing on your watercolor paper to prevent pilling. 7. Work wet on dry. You can keep vibrant colors and crisp edges. 8. When doing a background wash on cheap cellulose paper wet a section at a time then add in your colors one at a time and let them mix on the paper. This prevents part of your paper drying out on you as you complete the wash and it keeps your paint from becoming muddy. 9. Use a dry “thirsty” brush to sop up puddles in a background wash. This allows you to soak up extra water and avoid ruffle edge blooms from appearing. 10. Don’t be afraid to mix your media! If you watercolor painting is lacking the “glow” you desire, add details and shading with wax or oil based colored pencils. This will give you the luminosity can can be hard to achieve sometimes with student grade supplies. You can use ANY brand pencils you have but Prismacolors have been pretty cheap lately and that is what I prefer. 2. They are less likely to feather on cheap paper. 3. You get many colors in a set so you can see what you really use and then only purchase those colors in artist quality as you run out. It will save you money as you only rebuy what suits you. 4. You can paint without fear of wasting precious paint! 5. They are a great way to see if watercolor is for you without a big investment. I hope this post helps you realize that you don’t have to be rich to get a lot of enjoyment from watercolor! Hmmm, maybe the term “starving artist” came because artists were broke after buying their supplies LOL! It dosn’t have to be that way, use what you have and put paint to paper. After all it’s using the supplies and not owning them that makes you an artist. Let me know what you think in the comments below and til next time happy crafting! Quick & Loose Watercolor Bird! Hi friends! Today I want to share a quick little painting I created a couple of months ago. I have two classes available and you can use the coupon code TRYME to save 20% on either or both! Essential Tools and Techniques for Watercolor is a comprehensive beginner course that gets you up and running with watercolor in the fastest way possible and helps you create good habits right from the start. 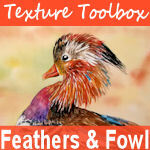 Texture Toolbox: Feathers & Fowl in the first in a series of watercolor courses focusing on a particular subject matter. In this intermediate class you will learn how to paint the variety of feather textures on three birds as well as a decorative peacock feather. 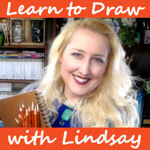 This course also focuses on fixing mistakes and working from reference photos. Over the past few months I have been delighted to see hundreds of students create beautiful artwork (shared in the classroom) using the tried and true techniques in these courses. I hope you will consider enrolling or you can find out more here. Don’t forget to use the coupon TRYME if the discount does not show up automatically. Thanks for stopping by and til next time happy crafting! Hi friends! Do you get confused when you try to mix several stamps together to create a scene? Today I’ll show you how to do it as we create this fanciful one layer card! When you are mixing stamps, especially from different sets, it can get chaotic real quick. That’s why we are keeping it simple by using watercolor to tie everything together. This flat card is not boring though, because of the clever peekaboo cutaway we have put on the front so the inside can be just as fun as the outside. Watch the video to see how! When stamping use your largest images first then fill in with the smaller ones. Use a big brush for a loose washy look and a small brush for detail. Dig through your stash for old shape cutters that might make cool cutaways on your cards. If you don’t have watercolors use reinkers or press a dye ink pad to a place to make a makeshift palette! I hope you try this technique using the stamps and color media you have! 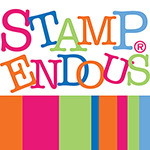 Let me know how it goes in the comments below and share this project with any beginner stampers you know! Thanks for stopping by and til next time happy crafting! Hi friends! Sorry I did not have a post for you yesterday, I was completely wiped out after a day at the Made in Maine Expo. I shared some pics during the day on the Facebook page if you are curious. I was a great show and a lot of fun. I have to say that I am a bit sore from lugging product up and down stairs (cutting boards are heavy!) But all-in-all it was a good time, and I left with less than I brought. I will have a recap later this week and tips for selling at a higher-end craft fair in case you were considering it! Tonight I am going to do something many of you have requested. I am going to go back to basics and we are going to mix 3 colors to make all the colors we need for a painting, we will talk a bit about color theory and I will also show you my two most used kinds of brushes and show you why I like them so you can pick the best brushes for the job. Watch the video for all the tips! Before you ask: I am working in my Canson Mixed Media Journal and the plastic palette is the Jones palette and I have had it for 15 years but it is still available at many retailers (Jerry’s Artarama has it for about $20) the brushes I am using are by Royal & Langnickle, I like the Majestic and the Aqualon lines and you can find them at many retailers. OK, on to the video! I hope you try this one even if you don’t think you can paint. You can even use children’s watercolors (Prang is really good actually and you can grab those anywhere!) The most important thing is that you try. You will learn so much about color mixing just by experimenting with the paint. I hope you enjoyed this tutorial, thanks for stopping by and til next time happy crafting!